So graduation is a pretty big deal huh? 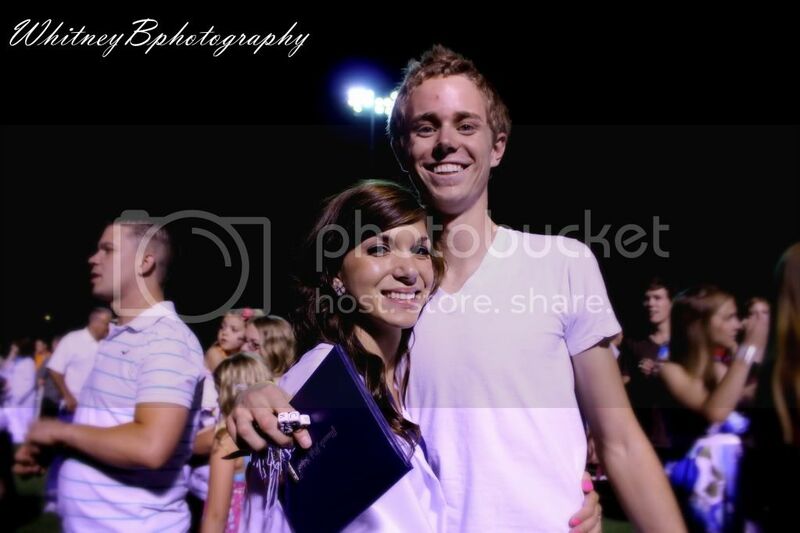 The cap, gown, your diploma, but most of all the pictures that go along with it! 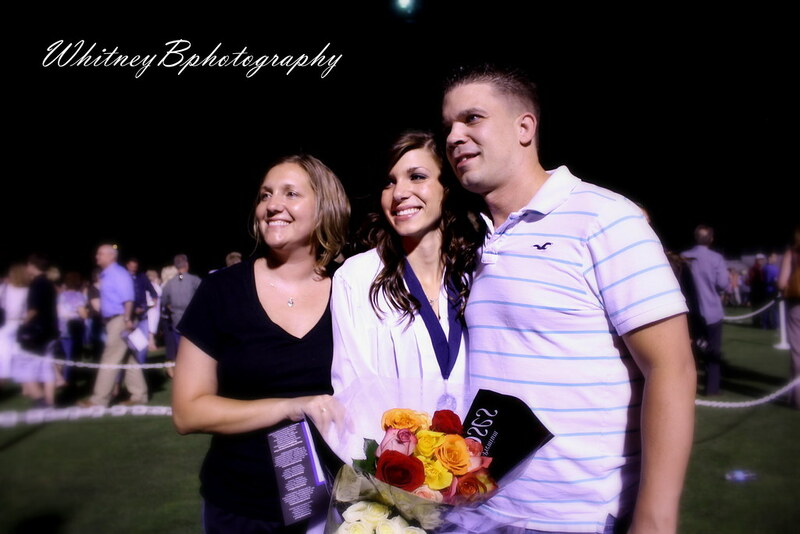 These pictures were taken at my cousin Andria's graduation. This was one of my first photo shoots with my new digital SLR and also my first shoot at night! I was worried that the pictures would turn out blurry because there wasn't enough light and was suprised that they came out as well as they did! I was quite pleased with the way they turned out, and Andria liked them too :) She's big into photography also. Need-less to say here is a few of my favorites I snagged after the graduation ceremony. 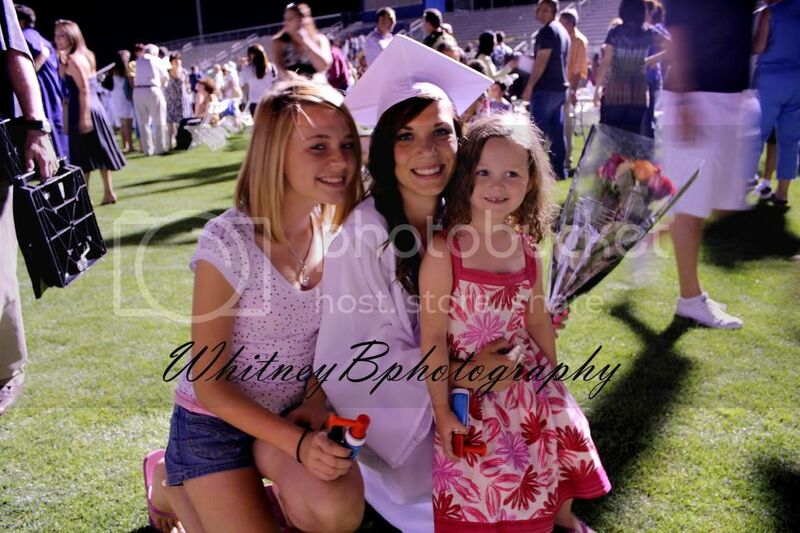 This is my favorite picture of these girls :) They're beautiful! 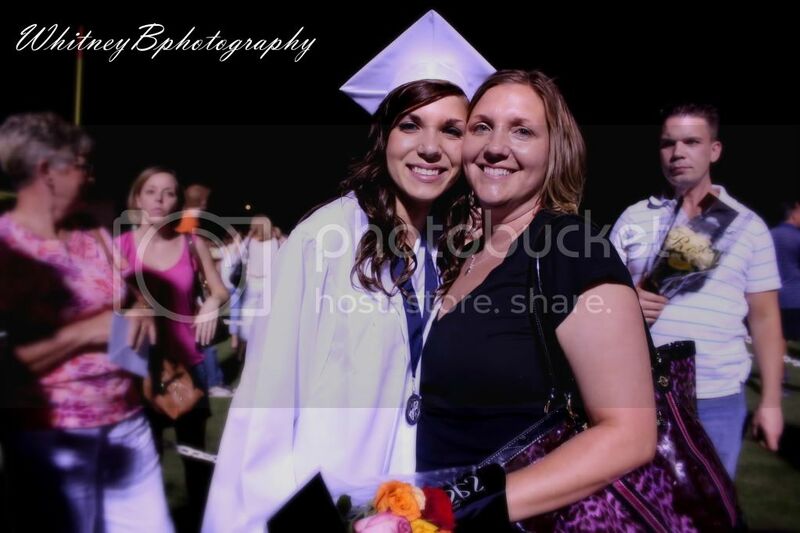 Andria and Amanda, her mom :) Andria and Tanner, the boyfriend!